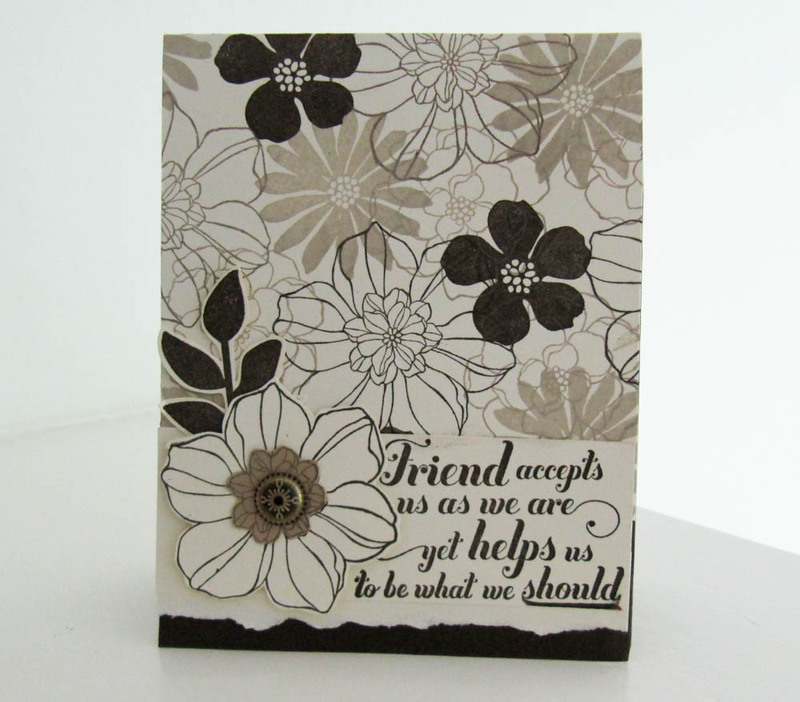 Today’s notepad cover and matching card feature the Stampin’ Up! Secret Garden stamp set along with a fabulous antique brad. Prep score lines and cut away bottom two corners. 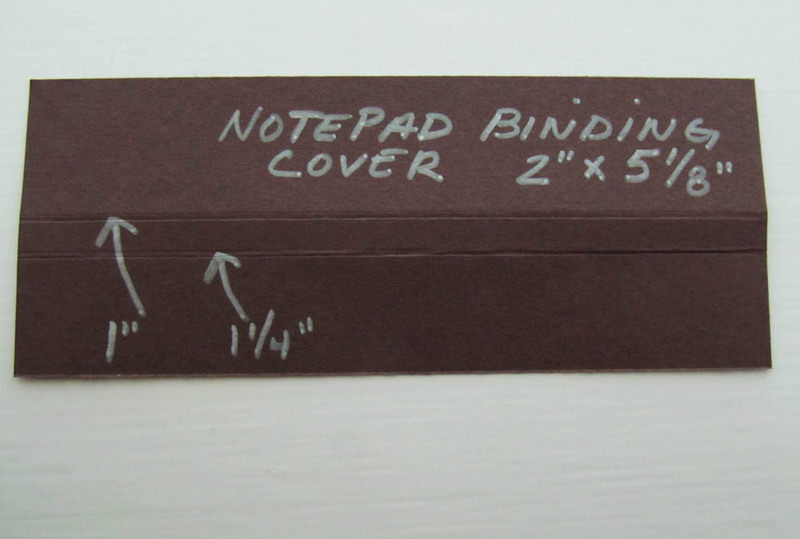 Put sticky Strip or Tombow on the bottom two corners. 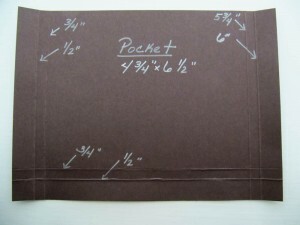 Fold your bottom flap up and glue in place. 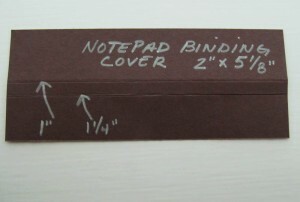 Add tombow around edge to place inside Notepad Cover. 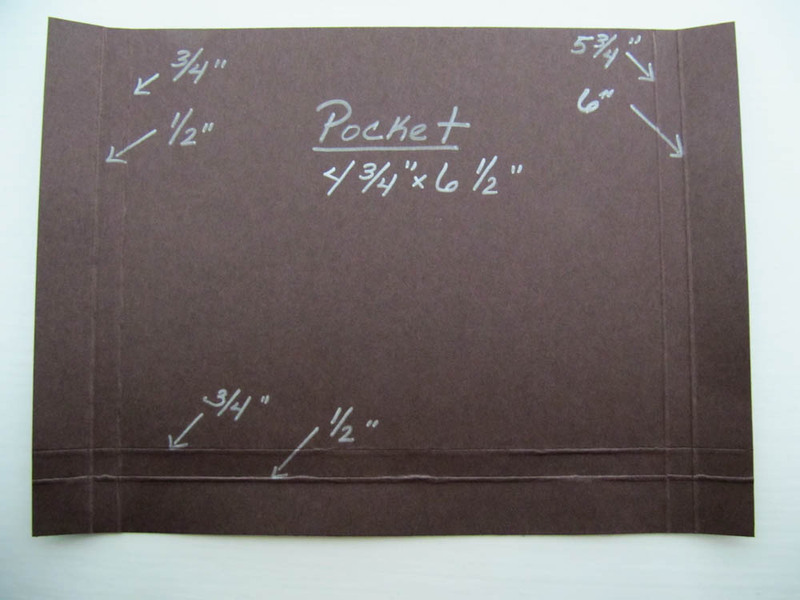 The notepad holder is adorable… What a great gift idea!! You make everything look so easy and fun to make!! 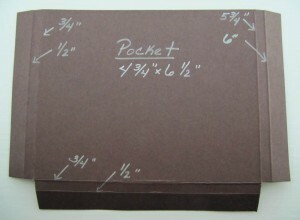 I love your notebook cover but can’t find the size of the notepad or the dimensions. I am sure I am just overlooking this. Brandy, Your videos and projects are always inspiring. Thank you for sharing your talent. I Brandy. I just found your website yesterday and already subscribed to your channel. I looove Stampin Up! And you have such positive energy. 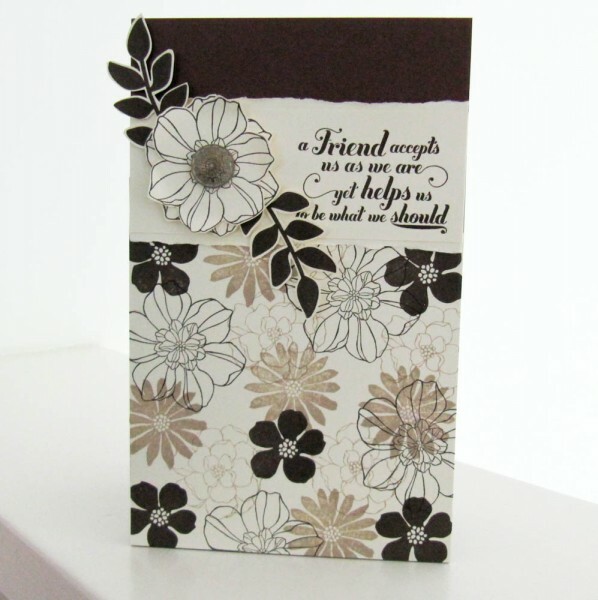 Love your cards and the notepad is gorgeous. Thank you!! Brandy, great tutorial! I will be making these for sure. Thanks for sharing. Brandy, loverd the tutorial so easy and so beautiful! I was wondering did you make necklace you are wearing in video very cute love the colors! Brandy, what a great, easy and fun project! Just lovin’ your video tutorials. Thanks! LOVE, LOVE, LOVE it!!! Great ideas and love your videos. I love you work and all your wonderful ideas. I would like to case this not pad holder. Do you mind if I use it for one of my classes? Also I am thinking of using it for a swap. Brandy, I just watched your video and it was great. This is so darn cute and easy. Your videos are always fun to watch and I want to thank you for making videos to share with everyone. Not everyone does. They will show a picture of the card or whatever they have made, which is great to, but. videos are so much better. Thanks again. 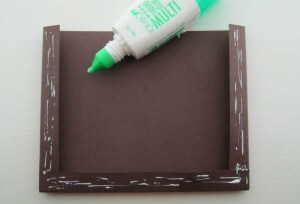 Thanks for this tutorial, Brandy, I made one of these ,using different colors, to give to my hostess this week. I was really pleased at how well it turned out and how easy it was to make. Great instructions in your video. This is going to be so exciting to make & love your blog. Your newest fan from Australia. Brandy, this is so cute!! I can not wait to get home and make some!! Thank you for this great video! I love being able to see a face to go with hands that are usually the spotlight. LOL This is wonderful. I just bought a bunch of notepads at Costco and wondering what I could do with them. Now I know! This is a wonderful project, thank you so much for sharing. Totally Awesome!!! Can’t wait to make some of these. Sat down and made this today, how beautiful. Thanks for sharing and I love reading all your blogs and post all the way down in Australia. Keep up the beautiful work. Sat down and made this today, how beautiful. Thanks for sharing, love all your blogs and post all the way down here in Australia. Keep up the wonderful work. This Note Pad Holder is absolutely AWESOME!!! I can hardly wait to take some time out to make this. Also may share the project with my friends at a social get together. The VIDEO was also well done…thanks a bunch! Keep the video’s coming. You do such a great job and think of great ideas. So pretty. We will be giving this a try. Thanks so much. Thank you so much for sharing this project! I am teaching a Secret Garden class in May and was trying to come up with a gift for each student! This is perfect! 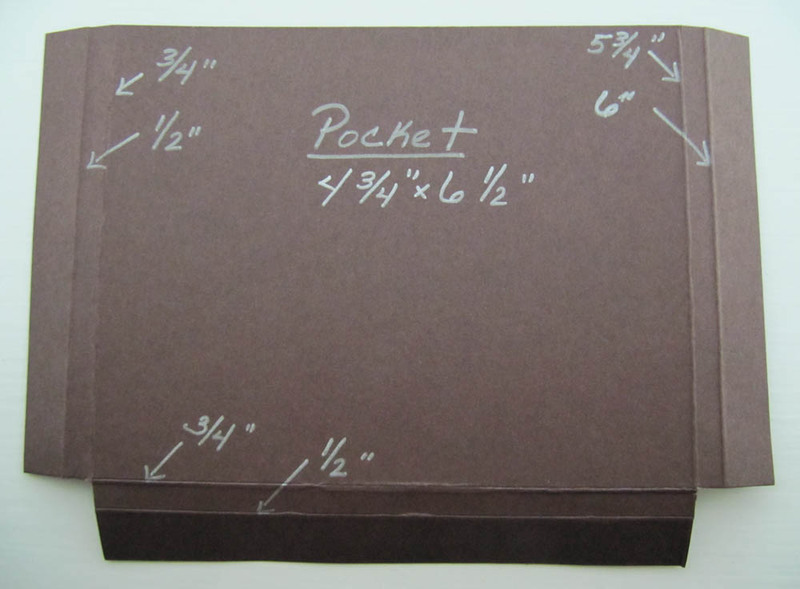 I am hooked on the Secret Garden stamps and framelits and this note pad holder is adorable! I’ve made one of your Secret Garden cards and it was literally a 20 minute card. Again, thank you! 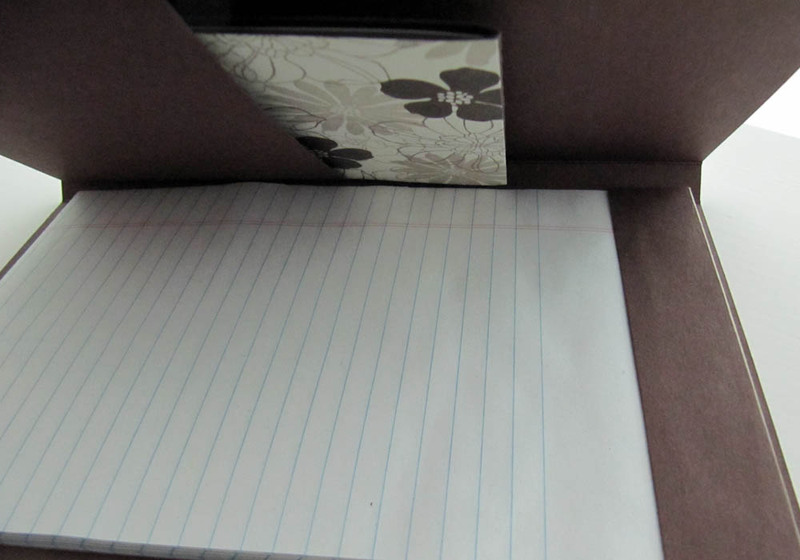 Love the notepad holder but I added a pocket on the right side so people could change the writing pad when used up. What a great gift idea. I will definitely be making some of these for teacher gifts this year. Thanks for sharing! Thank you so much for showing us how to do this Brandy! I love it! Cannot wait to make it for gifts! OMG, this is an awesome idea. I really like your videos! Great Job. Thank you. GREAT project, however I have a question. You mentioned you make it so they can reuse the project, is there a way you could let me know how that is done? Thank you. This is an amazing tutorial and very helpful. You are an amazing instructor and so nice to share with others. Thanks! What is the name of the greeting set you used? Brandy, I just love your videos. Would love to visit you and maybe attend a workshop. Thank you for sharing! This is truly awesome! What a stunning project! Thank you for all the time & effort you put into your videos and your blog. You have wonderful ideas and I look forward to your e-mails. THIS IS AWESOME! I love your videos. This is a very fun gift I think I will make for stocking stuffers for Christmas! Love this notepad. Thanks for a great video tutorial. I’m glad to see your computer is back on track! Brandy-I love your Secret Garden notepad!! Thanks for making the video with easy instructions to follow. Brandy, your cards are just amazing! What a talented lady! I really do enjoy your videos. Brandy thank you so very much for this tutorial. I am going to make a some for my co-workers. You are just the best. I just wish you were closer to Kansas. LOL. Wow Brandy, love your Blog, love your ideas. Thanks for this great video tutorial! Beautiful notepad holder Brandy! Thanks for another awesome video! Did you make your necklace from the Blossoms punch? Another beauty, Brandy. Even prettier in person, if that’s possible. Happy weekend.